Marc Warren won the inaugural staging of the Made in Denmark as recently as 2014, so this is just the fifth renewal. The first four editions were all staged at the Himmerland Golf and Spa Resort in Farsø, and the tournament will return there in 2019, but this year we're off to Ryder Cup Captain, Thomas Bjorn's home course, Silkeborg Ry Golfklub. Established in 1966, and extended in 2007, with the addition of the East Course, the Silkeborg Ry Golfklub is made up of three different nine-hole courses - the East, South and West. This week's tournament is to be staged on the more established South and West nines. Other than a card of the of the course, showing very odd yardages (the par three 14th apparently measures 553 yards! ), information about the venue is non-existent on the European Tour site but looking at the flyovers below from the courses website, it looks like the tournament is going to be played on the South Course (front nine), followed by the East Course. It's hard to gauge exactly how wide the fairways are, how undulating the track is and how big the greens are but it's tree-lined and visually it reminded me a bit of Wentworth. What Will it Take to Win the Made in Denmark? We really are guessing a bit with this week's venue but given its tree-lined, maybe we should look at form at places like Wentworth, home of the BMW PGA, Fanling, home of the Hong Kong Open, next week's venue, Crans-sur-Sierre in Switzerland, and if we want to go a bit further back, the 2015 British Masters at Woburn may provide a few clues. How Will the Ryder Cup Contenders Fare? The Ryder Cup in Paris is now less than a month away and this is the last qualifying event. Thorbjorn Olesen looks highly likely to secure the eighth and final qualifying spot on the European team - [2.44] outsiders to win the event - but it's not a given. Both Eddie Pepperell and Matthew Fitzpatrick can leapfrog Olesen and grab the final spot. Pepperell needs to win and to see Olesen finish outside the top-12 and a victory for Fitzpatrick would only see him qualify automatically if Olesen finishes outside the top-six. If Olesen finishes down the field and one of the two Englishman win, given the form he's in, a Captain's pick by fellow Dane, Bjorn, looks a certainty anyway but quite who fills the other wildcard picks is up for considerable debate. Thomas Pieters, who struck up a sensational partnership with Rory McIlroy two years ago at Hazeltine, may not be able to qualify automatically but he'll be busting a gut to show Bjorn he's ready for another blast in the biannual battle but with the likes of Sergio Garcia, Rafa Cabrera-Bello, Russell Knox, Paul Casey and Ian Poulter all outside of the automatic qualifying places, he's going to have to do something special and hope for the best. Knowing a victory may still not be enough, could just free Pieters up and I'm inclined to think those in the field whose Ryder Cup aspirations now range from wafer-thin to non-existent could fare better than those still in the frame. There's been money for Thorbjorn Olesen already this week and he's now the firm favourite to claim his place on Bjorn's team in style but he's not for me. He's bound to be distracted by Ryder Cup qualification and the pressure could easily tell. I like Olesen, and he's a fantastic player under the gun, but I'd rather wait and see how the event starts this week and look to play him in-running. If Pepperell and Fitzpatrick start slowly and Olesen starts well he could be a great bet at a similar price. Free of all qualification worries he could canter to victory in front of his own fans but should either of the other two begin well, the pressure will really start to mount. As already touched upon, a relaxed and in-form Thomas Pieters could be a dangerous beast this week but can he be trusted? He's clearly an exceptionally talented golfer but he does some very daft things every so often and he hasn't won in more than two years now and I'm more than happy to pass him by at around the 12/1 mark. Matthew Fitzpatrick has the mettle to cope with the Ryder Cup qualification situation he finds himself in and he may just have landed at the right track at the right time. Having won at Woburn in 2015 and Crans 12 months ago, the Sheffielder has already shown his likely for a tree-lined track and he's the one I like most towards the head of the market but I'm not convinced he's playing well enough to warrant support at less than 20/1. He's missed three of his last six cuts and his last top-10 came at Wentworth (another tree-lined track) way back in May. As outlined in this week's each-way column, Lucas Bjerregaard could really take to this venue and I've also backed Mike's fancy, Matt Wallace, and Joe's pick, JB Hansen. 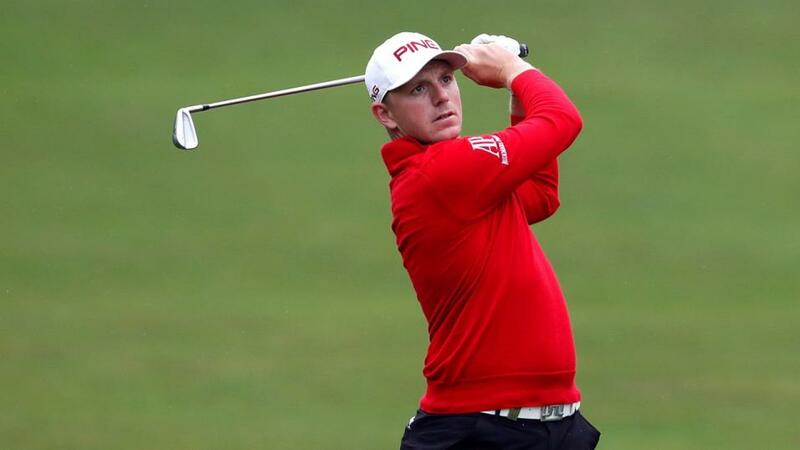 As Mike points out, frustration may well have got the better of Wallace last week and now that Ryder Cup qualification is seemingly almost impossible, the in-form Englishman could enjoy a good week. And as Joe states, Hansen has been in sensational form all season on the Challenge Tour and it's worth noting that one of his two victories was in his homeland at the Made in Denmark Challenge so playing in front of a partisan crowd shouldn't inconvenience. My only other pick is last year's Challenge Tour Rankings winner, Tapio Pulkkanen, who's playing far better than his odds suggest. His sole success on the Challenge Tour came in the Kazakhstan Open last September and it wouldn't surprise me if he broke his European Tour duck anytime soon. I'll be back later with my Dell Technologies Championship preview.